Details: An Unlikely Story is kicking off Independent Bookstore Day celebrations with a fundraiser for the Binc Foundation! At the event, authors, publisher sales reps, and independent booksellers from MA, RI, and CT will go head to head in a game show-style trivia contest. Join in the fun and cheer everybody on! 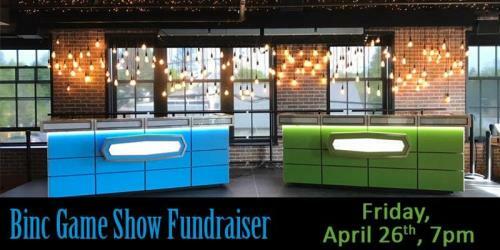 Proceeds from the general admission tickets and the cash bar will go to Binc. An Unlikely Story will also provide complimentary snacks, so come out to support a great cause, mingle with authors & booksellers, and generally have a fabulous time!